A clever pun on the title of the 1976 jazz-rock-meets-symphonic-prog album by Return To Forever, Romantic Warriors can claim to be the first documentary film that focuses not so much on the musical protagonists of the progressive rock scene, but rather on the people without whose loyalty and dedication the genre would have completely died out at the end of the Seventies, after its ‘glory days’ of critical and commercial success had waned. Born, almost by chance, from the professional and personal partnership between a dedicated prog fan (Peruvian-born José Zegarra Holder) and an award-winning filmmaker (German-born Adele Schmidt), the film is set on the East Coast of the USA, in a small yet thriving corner of a much wider scene. While neither of the authors is native to the US, their location right in the midst of things, in the Washington DC area (where their production company, Zeitgeist Media LLC, is also based) allows them an ideal vantage point as inside observers. Divided into five main sections, the documentary mostly revolves around the three major prog festivals organized every year in the area under scrutiny (ROSfest, NEARfest and ProgDay) – as well as one of the main hubs for devotees of the genre, the near-legendary Orion Studios in Baltimore, Maryland. Besides a number of bands and artists from different milieus, both homegrown and international, some key figures of the scene provide the viewers with their invaluable, first-hand insight into the progressive rock phenomenon. Mike Potter, owner of Orion Studios, illustrates his activity on behalf of both local bands and acts coming from all over the globe – offering them not just a place to rehearse and perform, but also to spend the night; while Steve Feigenbaum, founder and owner of Cuneiform Records and the online music store Wayside Records, weighs in with his experience of running a niche enterprise, motivated by passion rather than any hope of substantial financial gain. 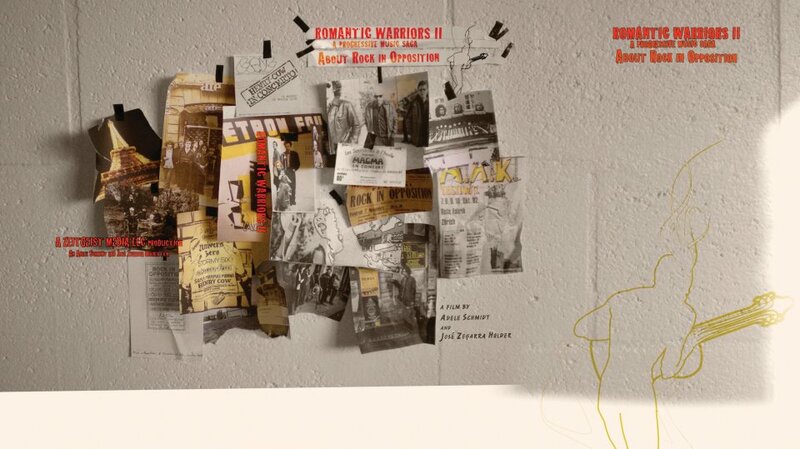 The acts featured in Romantic Warriors cover most of the bases of the current progressive rock scene – from the über-eclectic, avant-garde approach of Cheer-Accident to the orchestral, multilayered sound of Phideaux, from the sleek jazz-rock of DFA (whose magnificent “Baltasaurus” is used at the opening of the film) to Cabezas de Cera’s highly individual take on world music. The central section of the film pays homage to one of the seminal bands of the original movement, Gentle Giant, both through the words of guitarist Gary Green, and some intriguing live footage dating back from1974 – which will not just appeal to the nostalgia-steeped brigade, but also to the younger fans who want to see what prog looked like in its heyday. The musicians interviewed range from established protagonists of the scene such as Roine Stolt to the extremely talented Dan Britton, the fresh-faced mastermind behind up-and-coming bands such as Deluge Grander and Birds and Buildings. Moreover, the documentary’s strong international bias (in keeping with the filmmakers’ personal history) sheds some light on how bands and artists originating from a wide range of geographical locations – from the US to Japan – share the same struggles and concerns, as well as the same musical vision. As befits a true documentary, Romantic Warriors is not glamorous, nor does it aim to be. While most of the people involved are middle-aged and average-looking (not tarted up to look their best as they would be in most TV programmes), they are also very real people to whom music means much more than just a flavour-of-the-month pursuit. The film touches upon a number of hot-button issues, from the possibility (or lack thereof) for musicians to make a living from their craft (with wry yet good-natured commentary from The Muffins’ Paul Sears and the members of Cheer-Accident) to the more technical aspects of the music, such as instrumentation and recording. While the ground-breaking importance of the Internet is given due recognition, Internet discussion forums are mentioned all but shortly, in spite of the major role these virtual communities play in the diffusion of the genre. On the other hand, the extensive, tightly-knit underground network that allows prog to prosper in spite of lack of major financial support and/or widespread commercial success is given the proper emphasis, as is the community atmosphere of the major prog festivals. I particularly appreciated the (albeit brief) reference to the much-debated ‘women and prog’ question – the alleged lack of interest of women in the genre disproved by the contribution of people like radio DJ Debbie Sears. Those who expect a music video with some occasional commentary are going to be inevitably disappointed, because Romantic Warriors is a bare-bones account of the scene, filmed on location in an almost cinema-verité style that completely rules out the presence of the two filmmakers: in fact, all the viewer can see is the people who answer their questions – musicians, fans, and everything in between. The musical content, while undeniably important, is mainly meant to reinforce the verbal message. While it all feels very natural and unstaged, it can also leave some viewers rather puzzled – especially those who, having had little or no previous exposure to the scene, may end up struggling to put labels on people and situations. The film does not really offer any detailed explanation of how the whole progressive rock movement originally came about – except when, in the first part of the documentary, geo-historical maps of the genre are briefly displayed. However, as a true documentary should do, it encourages the viewers to delve deeper into the topic, and explore both the music and the history on their own. I personally found this approach very enjoyable as well as effective, though I can understand how some people might instead find the filmmakers’ unadorned style a bit on the dry side. Another criticism that might be levelled at Romantic Warriors is that it seems to hover between ‘preaching to the converted’ (that is, taking it for granted that the audience will be aware of much of the information presented) to a more instructional bent, targeted to newcomers to the genre rather than long-time followers. 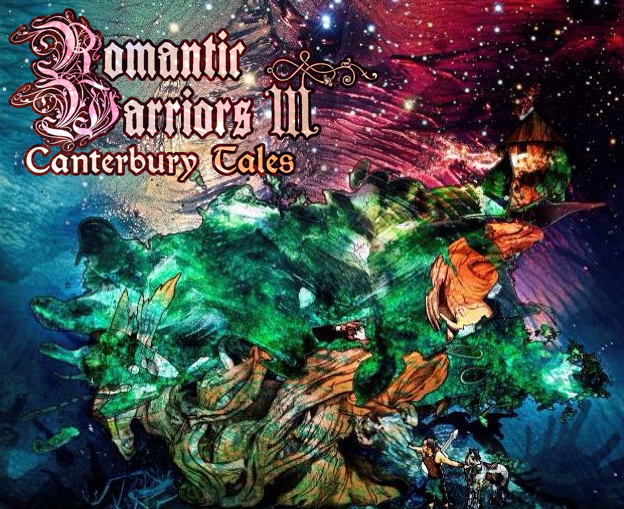 Though released in the late spring of 2010, Romantic Warriors is only now starting to get the recognition it deserves outside the restricted community of prog fans. 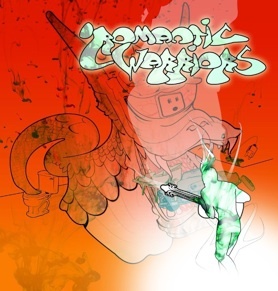 Its screening on the evening of September 10, 2010, at the Mexican Cultural Centre in Washington DC, offered a prime opportunity to ‘prog virgins’ to get acquainted with the music. Indeed, the film whetted people’s curiosity, which led to some interesting questions being asked. The evening was wrapped up by Dan Britton and Mauricio Sotelo’s astonishing performance (respectively on piano and Chapman stick), which offered the audience a real-time taster of some of the distinctive features of prog – the technical brilliance, the flair for improvisation, the input of classical and world music in the creation of the progressive sound. Those who, before the screening, were unaware of the whole scene could not help being fascinated (as well as moved) by the variety of the musical offer, the colourful appearance of the crowds at the festivals, the everyday struggles of the artists, and the overall sense of dedication that could be gleaned from the documentary. The audience’s reaction should remind the often insular and cliquish ‘prog community’ that it is not a good idea to look down upon those who are not yet in the know. This attitude might very well stifle some people’s budding interest in the music – which, after all, beyond any pledges of allegiance to a common cause, is the only thing that really counts.